It seems smartphone displays are finally getting better. While smartphone technology is nowhere near as good as TV technology which now ranges at 4K, a smartphone display from the company Vivo on its Xplay 3S handset has surmounted what we call full HD – 1080p display. Vivo will soon come out with the smartphone that will feature a 2560 x 1440 pixels display. Vivo, although has announced that this will be the world’s first 2K display, has stayed short of revealing anything except showcasing a single image of the display design. Many people think that the panel Vivo is referring to is the LG 5.5-inch prototype display panel with a density of 534 ppi. 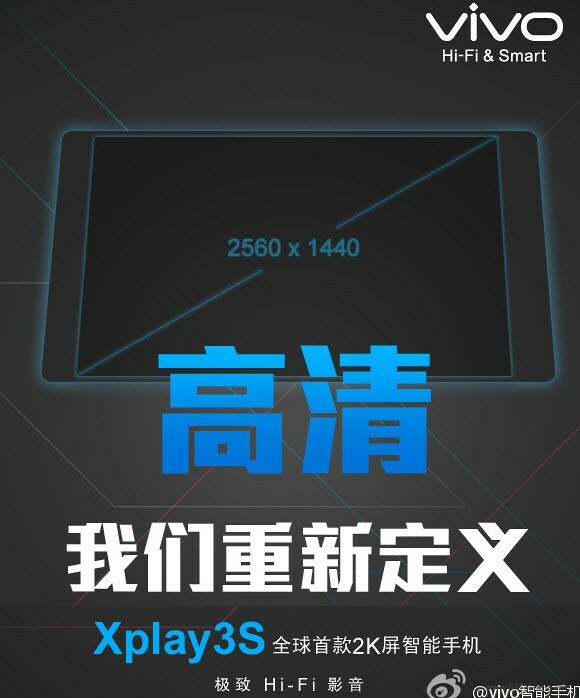 The Xplay 3S might also boast of a Snapdragon 800 processor and 4G LTE support.